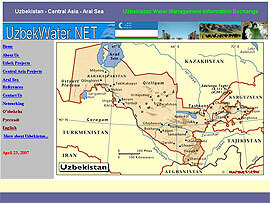 Intelligentsia has developed a concept called UzbekWater.net. 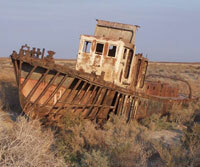 This should bring more awareness, education opportunities and trainings on water management issues to Uzbekistan, a post-Soviet country that faces many water challenges, with the most known around the Aral Sea. Water (just as quality education) are scare in this flat part of Central Asia, so you don't have to go too far to find more scary examples like Aral. 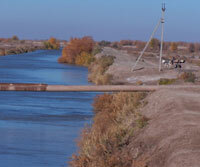 This project concept was developed in cooperation with III's former Uzbek participant and the associated websites should be serving as a clearing house for information related to water projects in the region. It is planned to develop the concept further and focus more efforts into making the concept actually happen, if the overall political situation will allow that. To get familiar with main ideas, check the presentation file. If you want to get involved in a development work experience at its best, you are welcome to join our team. You'd devote your time with us to studies of development issues in this distant end of the world, creating and developing presentations to parties that might be interested in further involvement, fundraising for the needy Central Asia region, improving the concept webpages, etc. This is a truly challenging project, so in case you want to experience how development work really tastes like (yes, it is both very cheering wins and very frustrating losses), here is your chance for that.